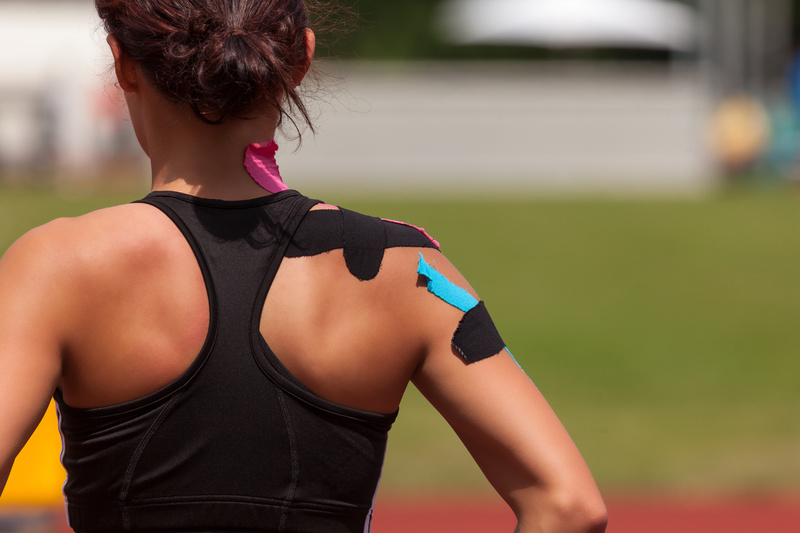 Kinesiology tape was invented in the late 1970’s but did not gain popularity in the United States until physical therapists and chiropractors started using it on Olympic athletes in the 90’s to support soft tissue injuries and enhance performance. It is different from the standard white athletic tape because it is cloth based instead of plastic and does not restrict blood flow and movement. It is also waterproof and can stay on for several days without irritating the skin and whilst providing support through strenuous activities. There are no side effects to proper taping techniques, but if you do not use the tape properly over the correct structures, then it will not provide the desired effects. Depending on how you tape the area in question depends on which sensory or motor nerves are stimulated which can help decrease pain and increase proprioception to the joint or muscle in need of extra help. For more information about proper taping techniques, please attend one of Dr. Massey’s KT classes listed HERE or schedule a consultation with her at Infinity Wellness Center.